Debbie Leibrock is our Employee Benefits Service Manager. She has 25 years of experience in the Customer Service Industry. Her endless dedication to our clients coupled with her award winning personality is a top notch combination and an invaluable asset for all. 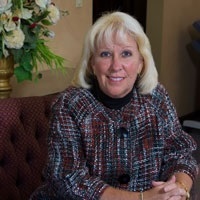 Debbie’s passion for helping our clients daily is reflected in their positive feedback. She adds a personal and professional touch in all that she does. Debbie’s joie de vivre is family, friends, and her two beautiful granddaughters who always make her smile and laugh.